Actors of the Social Game? According to a report of the Arab League’s Educational, Cultural and Scientific Organization (ALESCO), there would be 70 million illiterates in the Arab world. Egypt, whose number of illiterates is 17 million, is one of the worst cases. Sudan, Algeria and Morocco are a little luckier. These numbers support those of the United Nations Development Programme (UNDP) which estimate that about 40% of those in Arab countries, or 140 million of them, live below poverty line. This economic, social and cultural poverty leads to the severe marginalization of artistic creation. A majority of them don’t have access to any richness either physically or symbolically. Moreover, those with power do nothing to narrow such a gap. In contrast, arts, which encourage more independent thinking, particularly look dangerous for authoritarian political systems. Indeed, numerous artistic presentations call for the democratic transformation of societies. These presentaitons are not satisfied with just questioning the legitimacy of the governments. By means of their frictions and stories, they suggest the forms of fairer redistribution of the "sensitive." Such "sharing" is obviously reminiscent of the overall inequality penetrating Arab societies. What we see is that separation between artists and the public is artificially maintained by those who make utmost efforts to keep their people ignorant. On the other hand, most of artists try to be popular. Without being populist, they develop strategies in order to make their activities accessible to the greatest number of people. For example, Hanssan El-Geretly, who is well known in the independent drama scene in Egypt, doesn’t hesitate to draw on oral traditions, puppet plays and tales but his performances couldn’t be more contemporary. Some offers of Hanssan El-Geretly revisit traditional forms and others allow the audience to discover Egyptian authors who were forgotten too fast. His company called El-Warsha performs in the most remote areas and approach the residents and their culture, not to comfort them in their certainty but to encourage them to move. This approach obviously pertains to awareness. Egypt led a huge civilization. However, history must not be used as an excuse for immobilism. We must resist to the temptation to have a reactionary attitude when it comes to responding to the challenges ahead. Just as the poet René Char wonderfully said, "Our inheritance isn’t preceded by any will." The works of Hanssan El-Geretly glorify the power of imagination and its ability to make people masters of their own destiny. We won’t be surprised to know that this artist actively participated in the Arab Spring and that he is one of the fierce opponents of the Muslim Brothers. The degradation of the economic and social situation leads to the rise of extremists who, in turn, aggravate the marginalization of artists. This vicious circle widens the gap between creation and people. Artistic forms in themselves aren’t inaccessible at all. An example would be Hany El Metennawy, a director based in Cairo who has worked in relative privacy for 20 years. His performances, which are deliberately burlesque, target the general public while those with power would make utmost efforts to reduce the political and poetic aspects of Hany El Metennawy’s "message." The Moroccan choreographer Toufiq Izeddiou is inspired by ancestral traditions and the art of Sufi trance. Nevertheless, his creations make us clearly see today’s bodies who try to be liberated from all the ideological and moral constraints. Thus, one’s root isn’t antinomic with the openness toward the world and toward the others at all. For Toufiq Izeddiou, the artists’ own disruption is an echo of the collective issues of Moroccan society which is trapped between tradition and modernity. Making bodies move, the choreographer makes these tensions visible. Each culture tells us what is forbidden socially, religiously and politically in order to regulate the use of our body. And the artists enjoy the shrewd pleasure of emphasizing the arbitrary aspect of these "laws." In the same vein, Karima Monsour, who created the first independent contemporary dance company in Egypt, reproduces in her choreography the entire "flesh"of Arab society. This freedom stands in contrast with the almost pathological obsession of fundamentalism which always tries more to restrict bodily expression in public places. 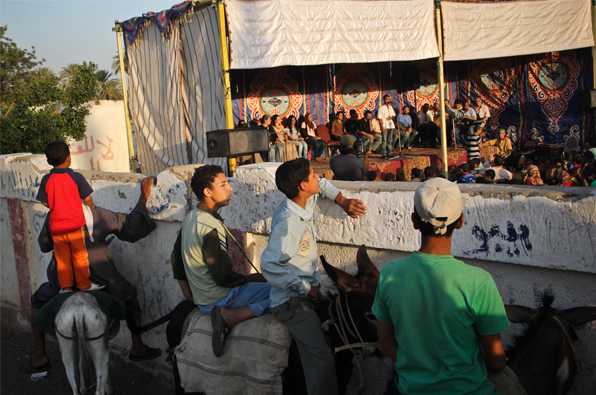 In Tunisia as well, artists actively participate in the path of social transformation. Historic approaches such as that of El Teatro and young artists, attack the most taboo issues. More and more projects take place in public places, as in the case of the Dream City led by the choreographers Selma and Sofiane Ouissi. This biennale was specially designed for the Tunisian media. In fall 2012, under the pressure of Islamists, the event was almost cancelled. However, the organizers endured the situation well. The creations were designed on the spot, in the medina. Merchants and residents were thus able to share the production process with the artists and were given a chance of real-time feedback. History is being made through arts. Artistic power exists but it is seldom supported by local governments. Cooperative projects are thus essential. Support from the European Union, foundations (Step Beyond, Ford Foundation and Young Theater Fund) and scholarships (Roberto Cimetta Fund, Art Moves Africa...) greatly facilitate artistic mobility that is essential for freedom of people and societies. 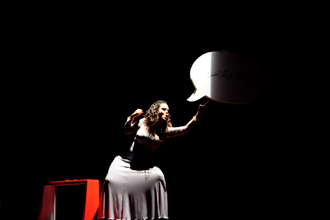 Therefore, today, an approach that is initiated by la Friche La Belle de Mai in Marseille, along with several countries on the other side of the Mediterranean Sea (Egypt, Palestine, Jordan, Lebanon, Syria, Tunisia, Morocco, Algeria, Iraq and Kuwait), contributed to highlighting the diversity of contemporary Arab writing. 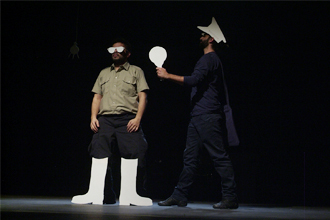 Plays were translated and edited and some were created in the framework of Marseille-Provence 2013, the European Capital of Culture. These works deal with the conflict among classes, freedom of awareness, women’s position in society... To those who might still doubt it, such projects demonstrate that the Arab-Muslim civilization isn’t incompatible with artistic modernity at all.